Digital Marketing is becoming complicated but essential. Wouldn’t you agree? That’s why we put together this digital marketing guide. Marketing used to be considered an Art, but nowadays, it’s a more of a Science. If you can master both the Art and Science aspects of Digital Marketing, then you are bound to be successful. Whether you are new to digital marketing, recent graduate, marketing professional, digital marketer, or an entrepreneur, The Ultimat Digital Marketing Guide will help you understand the digital marketing landscape, and provide you with a set of practical skills and resources to maximize your marketing performance. The guide is divided into key sections that address each Digital Marketing focus area that you should be aware of and perfect as you reach out to your prospects and community at large. Marketing planning involves deciding on marketing strategies that will help the company achieve its overall strategic objectives. Here’s what a digital marketing plan looks like. This purpose of this section is to provide a brief summary of the main goals, objectives, and recommendations. Thus guiding management review and decision making. A market description that defines the market and it’s major segments, customer needs, and the overall marketing environment. SWOT Analysis: This section is designed to assess the major strengths, weaknesses, opportunities, and threats for the company and its products. 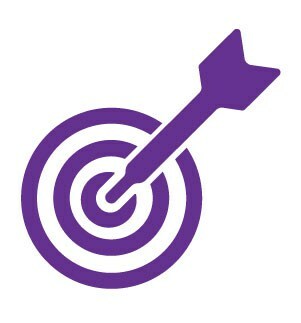 This area of the marketing plan outlines how marketing strategies will be turned in to specific actions, tactics, and programs, answering the following questions: What will be done? When will it be done? Who is responsible? And How much will it cost? This section details a formal marketing budget for all activities outlined in the previous sections. It forms the basis for marketing’s operations, including materials, production, scheduling, personnel, and other activities. The final section outlines the key indicators that will be used to monitor progress and allow management to review the implementation and success of the overall marketing plan. Every company must design a marketing organization or department that can carry out its marketing strategies and plans. Here we are going to explore the various ways that Modern marketing departments can be arranged. The most common type of structure is the functional organization. Under this structure, different digital marketing activities are headed by a specialist, for examples, as social media manager will be responsible for all social media activities and report to the marketing director. This functional marketing structure operates across all products and geographies. Companies that sell across countries or internationally, often use geographic organization. Its marketing people are assigned to specific geographic markets, which allows them to settle into a territory, understand customers and work with minimal travel time and cost. Companies with many different products or brands often create product management marketing structure. Using this strategy, a product marketing manager develops and implements a complete marketing strategy and program for a specific product or brand. For companies that sell one product to many different types of markets and customers, a market, or customer management structure might be best. Marketers in market management structures are responsible for developing marketing strategies for specific markets or customers. VIP banking is an example of this. 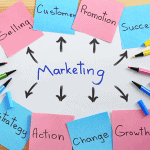 Marketing organization has become an increasingly important issue in today’s business landscape. With many companies finding that the environment calls for less focus on products, brands and territories, and more focus on customer engagement and management. 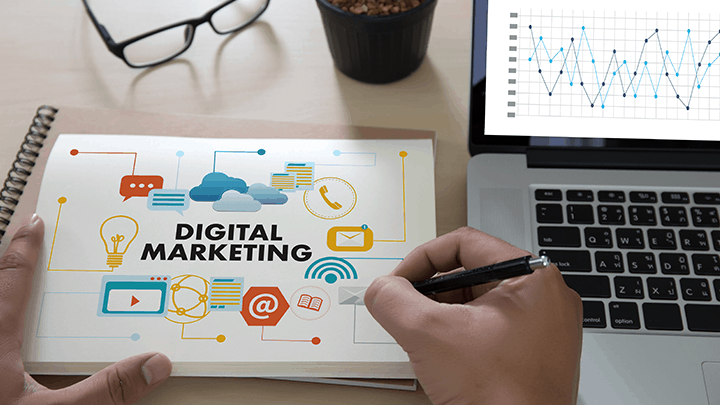 We will introduce you to the essential elements of a successful digital marketing plan, and provide a simple and framework for owners and marketers to use when setting, planning, and executing their strategy. The website of business is perhaps the foundation with regards to digital marketing. It is the home base for all your online activities and provides a central resource for your customers to find information and connect with your business. With more and more people interacting with brands via their smartphones and tablets, it’s necessary to ensure you’re delivering a consistent and responsive experience across all devices. Businesses need to develop informational content – whether in the form of blogs, eBooks, infographics, white papers or videos in order to create awareness and interest. Content needs to be broad, searchable, and specifically geared to attract and engage your audience. Search Engine Optimisation is the art and science of increasing a website’s visibility in the search engines. There are a variety of SEO techniques, from on-site technical analysis and improvement to content distribution & link-building. Secondly, Search engine marketing solutions such as Google AdWords and display ads are crucial to gaining exposure. A solid digital marketing strategy requires a strong email strategy. Email marketing is still one of the most cost-effective ways to educate large audiences about your product or service. If you want to generate leads, convert leads, and develop a relationship with your customers, you must build a database and use email marketing effectively. Social media remains one of the most powerful tools to establish a connection with your users. It helps you build brand authority and awareness. You can build trust, credibility, and keep your customers aware of what you are offering. Lastly, it’s important to have a testing and optimization plan in place to measure your marketing results and improve them as much as possible. You need to take the time to review metrics at each phase and determine what needs to be tweaked, what worked, and where to go from there. Check out our 5 Key Elements of Setting up a Marketing Plan to get another perspective. It’s important to continually learn about and improve your marketing initiatives. But before we can optimize our campaigns, we have to be able to measure and manage them. Now, we’re going to show you the 5 key digital marketing metrics you should be tracking. The first key Digital Marketing metric is Total Visits. Your website should be the primary target new or existing customers, but you can also measure total visits to any location relevant to your campaigns, such as landing pages or social channels. Measuring your total number of visits will give you a “big picture” idea of how well your campaign is driving traffic. Whether it’s email subscribers, eBook downloads, or a pure lead generation conversion, every campaign has a goal. Once we understand how many people have visited our page in question we need to determine what percentage of them actually did what we wanted them to do in the first place. Using the previous example, where 100 people out of 1,000 converted and completed your goal, it’s important to understand how much you spent to get those 100 conversions. Let’s say you spent a total of $500 dollars on your campaign. Take the total the amount you spent, divided by the total number of conversions to get the cost per conversion for your campaign. CAC is an extremely important and versatile metric, which can be applied to both your on and offline activities. In the previous example, we looked at conversions, which could be any goal you want to achieve. CAC, however, focus on customers and how much it costs us to acquire them. Let’s say you spent $10,000 dollars on all your marketing initiatives, from social media, and content, to SEM, SEO, and Email. All these efforts helped you acquire 100 new customers. 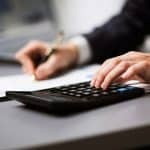 To determine CAC, you simply take the total amount spent on all initiatives, divided by the total number of a customer acquired by those initiatives. In this example, our CAC would equal to $100, meaning it cost us $100 marketing spend to acquire 1 customer. For example, let’s say you’re selling magazine subscriptions for $20 per month, and on average it costs you $15 to acquire a customer, with the average customer subscribing for 3 years. Our CLV formula would look like this ($20 – $15) x (12 Months) x (3 Years) = $180. Now, compare your Customer Lifetime Value to the Cost of Acquiring a Customer. The ideal ration of CLV o CAC is 3 to 1, and some companies like sales force use 5 to 1. The point is if your CLV to CAC ratio is too low, your business is not sustainable if it’s too high you’re not investing enough in acquiring new customers. Digital marketing is too diverse and dynamic to be confined to a certain number of elements. However, with limited budget and resources, make sure your efforts and investment are focused on these top 6 areas. Search engines have two major jobs: discovering and building a directory of all web content and providing searchers with a ranked list of the most relevant websites and content based on what these people are looking for. As such, making sure your web properties are being found by the people who need your services should an essential part of your marketing plan. In this lesson, we’ll show you how to succeed with SEO, and give you a few practical tips along the way. Titles: Create eye-catching titles that raise the reader’s interest. Keywords: Pick keywords that will help bring people to your site and are relevant. Links: Link to quality sites that compliment what your website is about. It’ll encourage sites in your niche to link to you as well. Quality: Try to publish unique and quality content. This prompts users to come to your site because they cannot easily find the content elsewhere. Use Cloudflare or other CDNs: Content delivery networks essentially create copies of your website in the cloud and deliver your content to users from the nearest server. This cuts down on wait times but also protects your site from vulnerabilities. Optimize Image Size and Formats: Pretty simple, smaller file sizes load faster. It’s important to minimize image file sizes while maintaining the best possible quality. Search for keywords you can win, i.e. ones that are relevant to your business, can drive significant traffic and have moderate competition. Get links from authority websites in your niche. Find where authorities in your industry link to and are linked from and think about how you can get involved. Create Linkable and Distribute: You need is a catchy story of your brand or a trending topic in your industry that is tailored to a specific group of audience. Inbound marketing is the art and science of turning strangers in the customers and how to do that? We do that by producing content, distributing it online and bringing your customers back to your presence and having a nurturing and building relationships. means understanding their main points, their needs, their objectives and having a clear plan to address those when the time comes. Once you understand what your target audience looks like, once you understand what they need from you, you can clearly create a step by step map of how to turn them from strangers into customers. Having a clear content strategy and distribution plan. You know your target audience. Now you need to produce the content that’s customized to your audience and have a plan on how you will distribute it to reach them. Where does your audience live? Are they on Facebook, are they on LinkedIn or Twitter? Are they in your mailbox? You can reach them a whole number of different ways and online really works well for that. Nurturing and building your relationships. 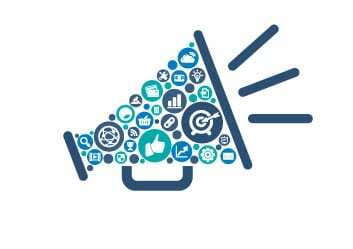 Outbound marketing is what people traditionally think of when you hear of advertising, it’s your radio ads, it’s your TV ads, and it’s your print ads. Essentially it’s a strategy of pushing out your message to a wide audience as possible in an effort to persuade and communicate with them the benefits of your product or service. Here are three tips on how to effectively run an outbound campaign. A lot of ads try to be cleaver but they fail in communicating the essential points required in advertising and derive no value. Be sure to communicate three things in your ads, the first is what exactly it is your offering? The second is why should your audience want it. The third point is how should your audience act on it and how should they get and take advantage of your offer. If you are selling something based on price, then include the prices in the advertising. If you are selling your service then be sure to communicate the benefits that the user will get out of it. Grabbing and holding your audience’s attention. Now we are constantly bombarded by advertising messages and our attention spans are shrinking every day. Whether it’s a billboard or an email in my inbox you as an advertiser have less than three seconds to grab my attention and once you have my attention you better know what to do with it. It is also a good idea before you run an ad; whether it’s online, radio, or print, is to examine what’s going on in the landscape. Look at your competitors’ look about their advertisings and see what ads are offering similar products and services to yours and how you can differentiate your messaging and your positioning in your advertising to really stick out and keep my attention. Testing and optimizing your ads. 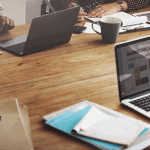 Now if you have the budget, running focus groups on your ads and getting other people’s opinions is a great way to understand whether your messages are getting across, or whether the cost actually works effectively and whether your ad has the desired outcome. A cheaper and easier way to do it is the “So what test”. Put yourself in your audiences’ shoes. Go through your ad and think to yourself so what why should I care. If you don’t pass that test, if you don’t have an answer to the so what question, your ad has failed and you should probably go back and tweak a few things and really make an impact. In summary, you want to highlight your competitive advantages and communicate these essential messages. You want to grab and hold on to your audience’s attention and never let go. Lastly, you really want to test and optimize your advertisement to make sure that it is the best that it can be. Email marketing is still one of the most successful marketing channels and is a key component of a solid digital marketing plan. In this lesson, Here are some practical tips and advice that you can use today to maximize your email ROI. Too many marketers rely on “Spray and Pray” for their email marketing strategy, they send emails out to as many people as possible and hope for results. In reality, the best marketers use email as a precision-guided missile, delivering relevant valuable and engaging content to a highly targeted audience. Everything from the content of the subject lines to the content of the emails themselves can be personalized to the user who is receiving it. Use incentives to increase open and click through Rates: When you include an incentive in your subject line, you can increase open rates by as much as 50%. “Free shipping when you spend $25 or more” and “Receive a free iPod with demo” are examples of good, incentive-focused subject lines. The same applies to your buttons and calls to action. Email readers have short attention spans. After I open your email, you have less than 3 seconds to convince me to keep reading or to visit your landing page, so simplicity is key. Don’t stuff your emails with too many messages or objectives, one is enough. The same applies to the layout of your email. Make it easy for me to navigate and find my way. In today’s world, the vast majority of emails are opened on mobile devices and tablets. Are your emails designed to adapt to different device screens? Responsive layouts have become a key driver of email performance, and those who haven’t made the transition are now suffering because of it. Structure your email like a pyramid, with key content taking center stage at the top of the body, and support it with a wide foundation of details at the underneath. Your most important key messages and calls to action should be located above the fold, where the user doesn’t need to scroll down in order to see it, and every message should contain the key information you wish to share, answering the five Ws (who, what, where, when and why). Social media allows your company to directly connect with your customers, prospects, and brand ambassadors about everything from products to challenges. An engaged audience is one of the greatest assets a brand can have. But do you know how to use social media to solidify these relationships? The most important part of your social media marketing plan is defining clear goals. All decisions are informed by these, so without clearly defined goals, your social media plan will also be scattered and/or ineffective. To prevent this from happening, start by writing down at least three social media goals for your business. Make sure each goal is specific, realistic and measurable. Too often we see brands engage in any and all social media channels in an effort to be present everywhere and anywhere. The first key to success in any social media initiative look at how engaged and active your audience is with a particular network and see where you can make the most impact. It’s worth investigating the relationship between social channels and your business, in order to understand which activity would have the most impact on your desired results. The previous two tips should now create a framework for you to develop a comprehensive content strategy for your marketing plan. Within your content strategy, you should include what type of content you intend to post, how often you will post content, who your target audience is, who will create the content, and how you will promote the content. When planning and executing your social media strategy, it helps to save time by scheduling pre-planned content. This not only helps to build an audience, but it also prevents you from inundating your follower’s feed with too much or not enough information. Scheduling helps you maintain a steady flow of content being published throughout the day. Another advantage to scheduling your posts is that you still can continue to share news, updates, and content in the event that you are busy or away from the office. Once your social media marketing plan has been implemented, it’s now time to check the appropriate metrics and see how your content is performing based on your goals. Once you’ve analyzed your current campaign, resolve to do more of what is working and revise things that are not working. You will need to keep developing your strategy and content and use analytics to guide your next steps throughout your social media campaign. Before creating any piece of content, we must first identify and profile our audience, and the people who we intend to reach with our content. But how do you create them? Use form fields that capture important personal information. Take into consideration your sales team’s feedback on the leads they’re interacting with most. It’s important to identify the steps that prospect or visitors will take in order to become customers or regular users. Identifying these steps is key to creating relevant, valuable and engaging content for every persona, and at every stage of the buying cycle. In simple terms, you will need different content to create awareness, a separate set of content for the consideration phase, and a final set of content for the decision phase that is designed to close the deal. When you’re planning a piece of content, how do you decide what is worth creating and what you should pass on? Every piece of content you commit to should serve a clear purpose for your marketing efforts. Once you know what kind of content you will create, you need to establish the process for creating it. Your content execution plan should be a step-by-step map oh how an idea turns into a finished product, and how to distribute those pieces of content so that they reach the right audience. There are several revenue generation models that you can use to package, market and sell your products and services both on and offline. Many online companies and e-commerce platforms draw a good portion of their revenue. This revenue is generated from markups on goods and services they sell online. This is the simplest and most direct method of marketing your offerings. For online publishers and platforms that attract large or specific niche target markets, sales of online ad space. This can be a major source of revenue. Advertisers will pay to reach your audience if it meets their criteria. Platforms and brands can solicit sponsors for some or all of their content. Thus collecting sponsorship fees in order to help cover some or all of their costs. Every time you see something that is “brought to you by a brand” that’s sponsored content. Web marketers can also charge subscription fees for use of their site or service. Many online newspapers, such as the Wall Street Journal or New York Times require subscription fees for their online services. These are recurring payments made in exchange for continued access to a product or service. Websites and platforms that have built databases containing in-depth user profiles. Such data can be valuable to advertisers who are willing to pay in order to reach particular audiences. Facebook, for example, enables 3rd parties to advertise to its users. These advertisements are based on a number of different criteria, including your interest, geographic location, job title, etc. Companies can collect revenue by referring customers to others. For example, hosting companies like GoDaddy will pay 3rd parties for every successful client they receive from them. This is essentially a finder’s fee. Why do you need to have a podcast? If you are passionate about something or a subject and you have the right expertise. Then you want to share it with people why not share it with audio? A podcast is audio on demand. So people can listen to you to what you have to say anytime during the day. They can be running, driving, stuck in traffic or doing exercises. If you want to build your own authority and credibility; you can create your own podcast in a simple niche a focused niche and niche down. So you can target a very narrow people of your target audience. You can build a mass community following you; following what you have to say. You can talk about any field you want. In iTunes, we have 16 categories and hundreds of subcategories. In any field, you want to talk about in business, medical, in business. Let’s say you have careers you have many other subcategories even you can talk about art, music, and others. Only in iTunes we have 525 million subscribers so imagine the community and how you can leverage it. Why do you need to podcast? One because you are passionate about something and you want to share with people. Two because you have and you want to create your authority and create credibility and more credibility for yourself. And three because the audience is there and is waiting for your expertise. So have a Podcast and let us listen to you. We hope that through this Digital Marketing Guide you would be able to learn what should be done to have a successful 2018! Your content is excellent but with images and clips, this blog could undeniably be one of the very best in its niche.